This mesmerizing mermaid dress 60410 is sure to have all eyes on you at your upcoming social occasion. Featured is a fitted bodice with a low v neckline and thick straps for support. 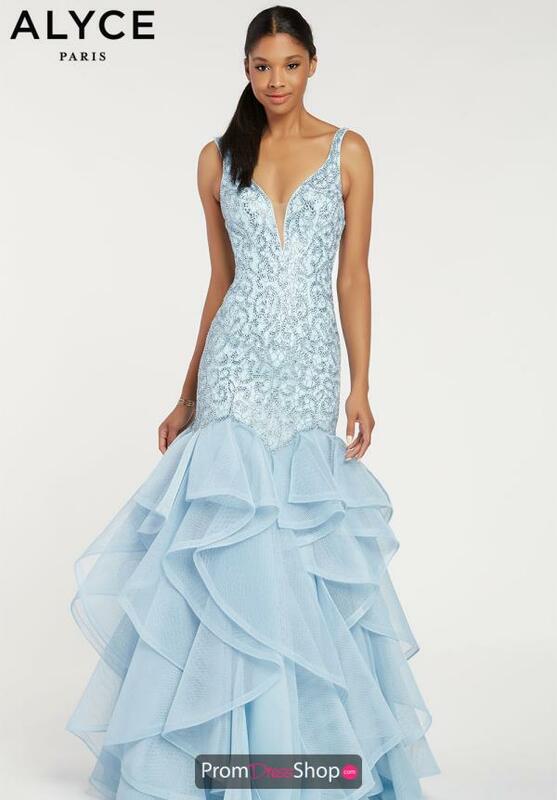 Embellished with hand bead work, the body of this gown is stunning. The fit and flare silhouette ends with dramatic ruffles.